Morrison Hotel Gallery co-owners and photographers Timothy White and Henry Diltz. On August 4 at the Sunset Marquis Hotel in West Hollywood, Fleetwood Mac founder and drummer, Mick Fleetwood, spent an intimate evening talking about his love of photography and music, and what inspires him to create the music he plays. Morrison Hotel Gallery, located inside the Sunset Marquis, created a poolside pop-up gallery that featured some of Fleetwood's favorite images from the fine art music photography brand. 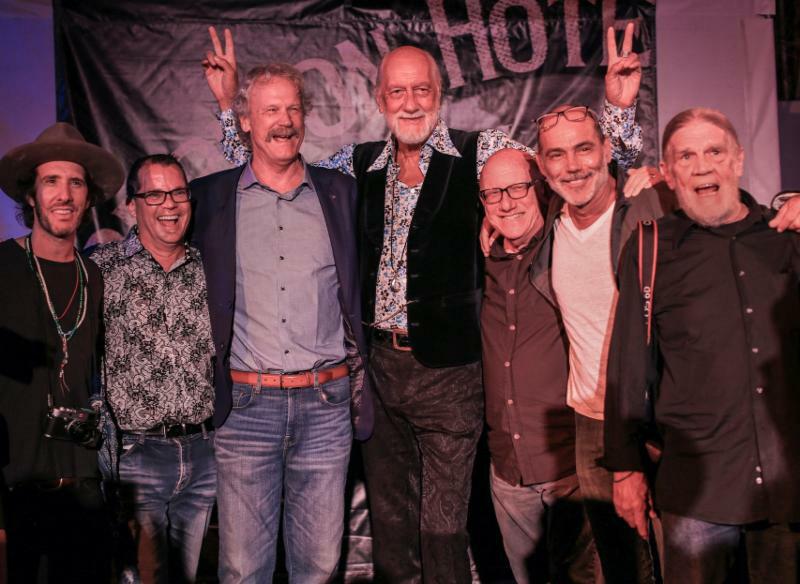 As everyone enjoyed specialty drinks and delicious bites from the hotel's James Beard Award-winning chef, Michael Schlow, Fleetwood shared intimate memories of Fleetwood Mac and some of the musicians that have inspired him. As he walked through the pop-up gallery, talking about certain photographs, he also answered questions some of the guests asked him. Also in attendance were Jamie Hince and Allison Mosshart from The Kills, Michael Bolton and Fleetwood's family and friends, along with customers and friends of Morrison Hotel Gallery. The evening was sponsored by Monster Energy. All of the photographs in "Mick's Picks" are available for purchase at morrisonhotelgallery.com/collections/ugwhHw/Mick-Fleetwoods-Picks.